The common ground of PCB wiring should be arranged as far as possible on the edge of the printed circuit board. Keep as much copper foil as possible on the PCB and use them as the grounding. This shielding results of this is better than a long grounding wire, because the transmission line characteristics and shielding effect are improved, and the distributed capacitance is reduced at the same time. The common ground of PCB wiring is preferably looped or meshed because there are many integrated circuits on the same board, especially when there are many components that consume more power. Due to the limitation of the pattern, a ground potential difference is generated, thereby causing a reduction in the noise margin. When a loop is formed, the ground potential difference is reduced. In addition, the grounding and power supply pattern should be parallel to the data flow direction as much as possible, which can suppress the enhancement of noise capacity. 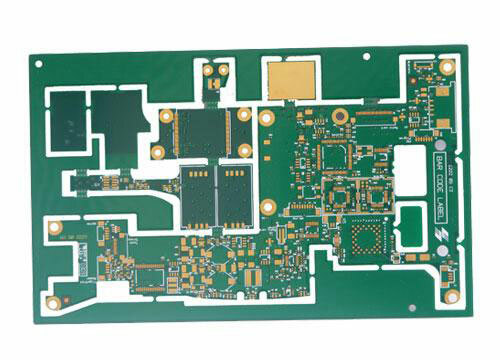 The multilayer printed wiring board can adopt several layers as the shielding layer. The power layer and the ground layer can be regarded as the shielding layer. Generally, the wiring layer and the power layer are designed in the inner layer of the multilayer printed wiring board, and the signal line is designed inn the inner and outer layers. Adjacent wire spacing must meet electrical safety requirements, and spacing should be as wide as possible for easy operation and production. The minimum distance must be able to withstand the required voltage. This voltage generally includes operating voltage, additional fluctuating voltage, and peak voltage caused by other causes. If the relevant technical conditions allow for a certain degree of metal remnants between the wires, the spacing will be reduced. Therefore, PCB designers should consider this factor when considering voltage. When the wiring density is low, the spacing of the signal lines can be appropriately increased, and the signal lines with high and low levels should be as short as possible and increased in spacing.